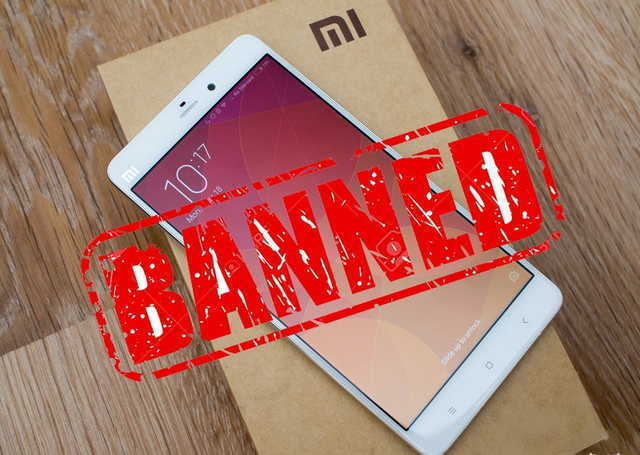 We have just received a piece of news that PTA (Pakistan Telecommunication Authority) has banned the sales of Xiaomi phones in Pakistan, as reported by ProPakistani.pk. A website, XiaomiPK.com was selling Xiaomi smartphones at pretty good prices, which are pretty close to the original price. If you take a look at their site, at first you may be fooled to think that it is an official Xiaomi website and also they have set up a Facebook page which looks very authentic. Now, coming to the PTA ban on Xiaomi smartphones the PTA has barred the website from selling Xiaomi smartphones in Pakistan. The website has informed their customers about it in a note. “We have stopped smartphone sales in Pakistan until further notice. The Pakistani Concerned authority (PTA) through Mr Nauman Khalid“naumankhalid@pta.gov.pk” has demanded that XiaomiPK.com has to stop the sale/marketing of all Mi mobile devices. “We have great respect for the authorities at the PTA, and we believe their intentions are good. But it is quite surprising that Pakistani customer’s right has been denied without any reason. XiaomiPK had reportedly applied for No Objection Certificate to PTA, which was rejected because Xiaomi doesn’t operate in Pakistan through a physical office. But they were operating somehow starting from July 11, 2016. They are fully operational and was providing smartphones, power banks and accessories almost at the same retail price. The site also promised after sales service and warranty. But looks like they will have to wait a bit until PTA either lets them sell Xiaomi products or else they will have to shut down. However, there have been no words from PTA regarding that issue so probably Xiaomi fans in Pakistan will have to wait a bit until PTA provides any judgement on this matter. Notable thing is that, in India there were some conspiracies regarding Xiaomi as it was suspected that they are stealing users’ data. However, the ban was lifted later.